Our beginners level facial course is open to everyone regarless of qualifications. If you are thinking of starting a career in the beauty industry or are a doctor emabarking on a career in aesthetics we will open the door to being able to deliver the very best treatment for you to deliver to your clients. Utilising the amazing Genosys cosmeceutical range you will be working with an advanced skincare range which will optimise treatment results. Genosys is a South Korean brand well know for its cutting edge technologies. 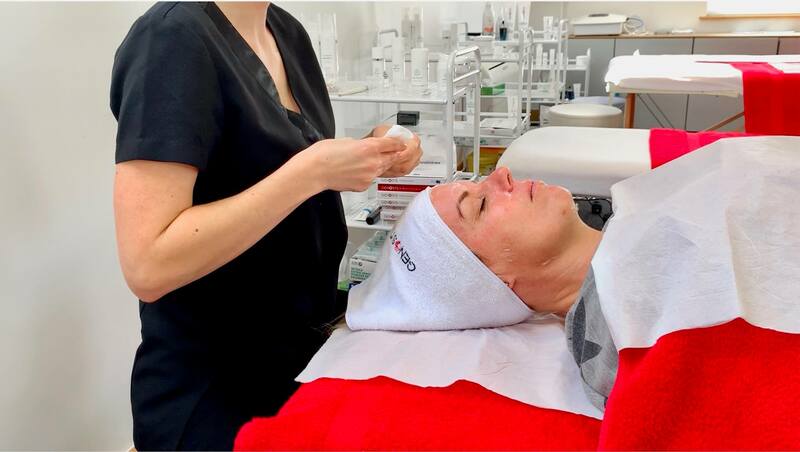 We will help you get a much better understanding of skincare, skincare ingredients and all the processes involved in delivering an amazing facial treatment. So what is a facial? Every facial treatment should begin with a thorough consultation and a basic diagnosis. You can then prescribe the correct skincare products to deliver in the session and recommend take home products to enhance the effects of the treamtnet. We will teach you massage techniques such as “effleurage” and “pettrisage” for the ultimate customer experience. From cleansing, applying a mask and finsihing with the correct post procedure products. medics or SPMU’s who have done advanced skin therapy courses but would like to add a facial element into their treatments. This is an intense one day course. All groups are kept small and 2 trainers are always on hand. No pre-course materials are necessary. Lunch, snacks and refreshments are available throughout the day, models are provided – no uniform is required, comfortable dress is recommended. We offer starter kits to our course delegates. These can be purchased either on the day or in advance of the course, for prices on kits please visit contact one of our team. Insurance: We work closely with providers Towergate & Hamilton Fraser, many other providers such as BABTAC, Holistic Health & Cosmetic Insure will offer cover on completion of this course.We are an independent training company with expert, knowledgeable educators. Why introduce facials into my business? You can charge anywhere between £40-80 per treatment. Pricing is dependent upon how long you offer the teatment for. The treatments can last between 30-60 mins and a course of treatments would be recommended to the client. By offering a course of facials you are far more likely secure repeat business. We train you to use a specialist cosmesutical range to treat a wide range of skin conditions. To become fully insured to introduce these facials into your salon you need to take one of our courses. What does a facial entail? 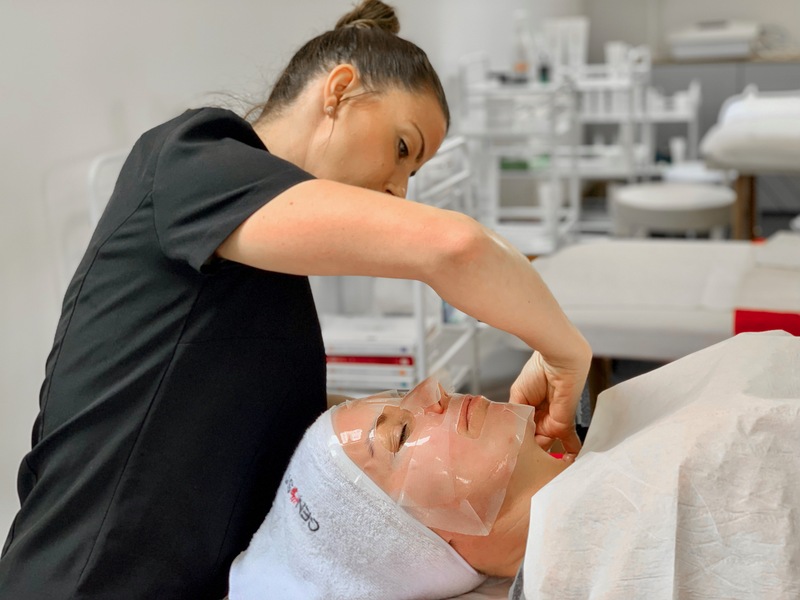 Consultation – Facials are typically started with a consultation between the esthetician and the client discussing health, lifestyle and skin concerns. Cleansing – Next you will thoroughly cleanse your client’s skin with cotton pads. Skin Analysis – The client’s skin type and condition will now be determined – dry, oily, combination, sensitive or normal – acne, blackheads, whiteheads, aging, sun-damage, dehydration, etc. Appropriate products will now be chosen. Exfoliation – The client will then have an exfoliation of the skin. Extractions – This covers the removal of blackheads and whiteheads and if done improperly can cause broken capillaries and discolouration. 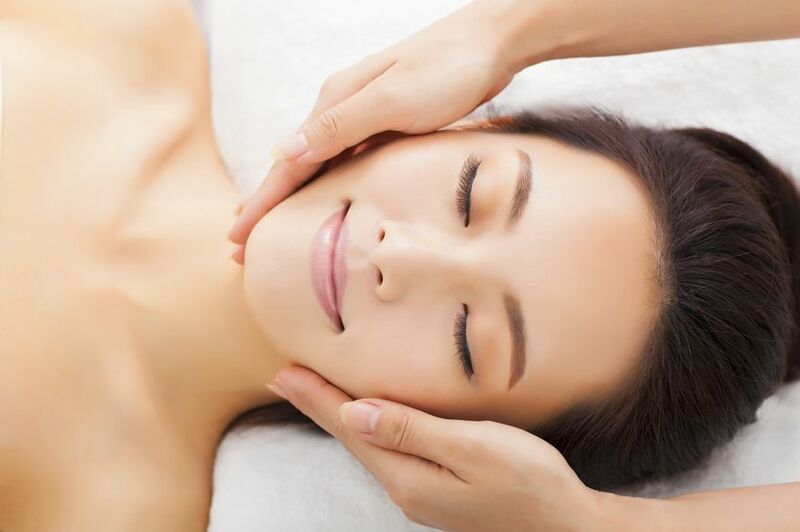 Facial Massage – A massage is used to relax and stimulate your client’s skin and facial muscles. Facial Mask – This will be targeted specifcially at the clients particular skin type, not just a generic ‘one size fits all’ treatment. Final Application – The final application will include skin care products such as toner, serums moisturiser etc. Advice on home skin care – You will need to advise your client on how to better look after their skin at home including product advice. Please contact us for trade login.